Tata Motors Ltd. (”TML”) offers “Book a Test Drive online. 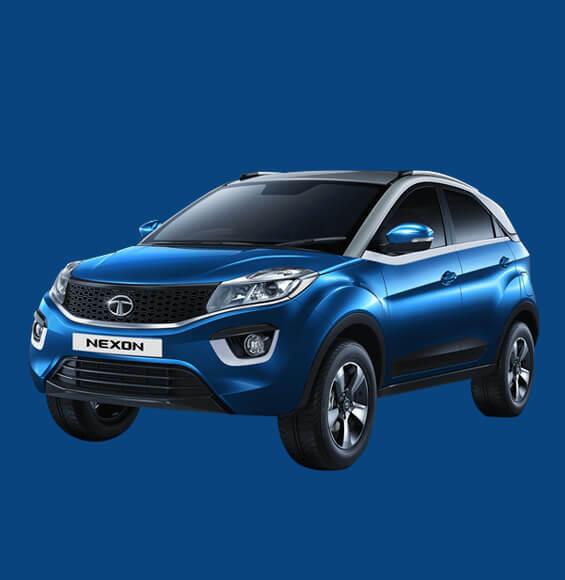 Win a TATA Motors Car” Offer when you register your Test Drive request on the TATA Motors websites for Tiago, Tigor, Hexa and Nexon and buy either of these vehicles from authorized TML Dealership anywhere in India (except Tamil Nadu) during the offer period from 1st March 2019 to 31st March 2019 or till stock lasts. Model of Tata Passenger Cars is mentioned in the T&C. Under this Offer the eligible customer (“end-customer”) shall be entitled to claim the winning “Gift” upon fulfillment of the terms and conditions contained herein. This offer is not valid for channel partners (Outlet, Dealers, Distributors, Sales Executives of Dealerships, Dealer Sales Executives, Government Sales and employees of TML). The free-to-enter promotional offer is open to all Indian residents except from the State of Tamil Nadu, aged 18 years and except employees of channel partners (Outlet, Dealers, Distributors, Sales Executives of Dealerships & Distributors), employees of TML and their families, employees of TML Subsidiaries and their families and employees). At the end of the month, the details of the customers who have purchased a Tiago, Hexa, Nexon, Tigor after registering for a Test Drive via the product websites (with full payment to the Authorized dealer) will be downloaded from Tata Motors CRMDMS system. These customers will be issued an Amazon voucher worth Rs 500/-. For selection of lucky draw winner, the details will be provided as an input to a software which will randomly select a winner. The Lucky Draw winner will be informed over email and phone and will be requested to complete the formalities to collect the gift. The winner will be informed over email and phone and will be provided the details of the dealer who will handling the delivery of the Tiago. He/She will be provided the ex-showroom cost of the vehicle, the gift tax details, registration cost, insurance cost, handling charges and any other state specific taxes/levies as applicable. The registration cost, handling charges, insurance cost and any other state specific levies at the time of registration will have to be paid to the dealer handling the delivery. Documents required for registration of the vehicle will have to be provided by the customer to the dealer. TML will not be responsible for any issue / delay with registration of the vehicle due to incomplete documentation / payment by the customer. The vehicle will be delivered to the customer only after the gift tax amount is paid to Tata Motors and all other amounts related to registration, insurance and road tax are paid to the dealer. Gifts/Gift vouchers mentioned cannot be exchanged for their monetary value. In the event of any deficiencies/ defects /warranty related issues in the gift, the respective manufacturer shall be responsible to provide the warranty on the product and the customer may get in touch with respective manufacturer for the same. Customer unconditionally accepts that there shall be no liability on TML, Affiliates and their respective employees, officers and directors in case of any deficiencies/defects/warranty related issues in the gift. TML retains the right to alter or withdraw the scheme or gifts, without any prior notice. All gifts /gift vouchers will be subject to Indian laws, including tax regulation as and when applicable. The Octroi Charges and TDS if applicable on any gift item will have to be borne by the winners and payable on request before delivering the gifts. Gift taxes are payable by the customer. By participating in this offer, every participant agrees to allow use of his or her name and / or photograph for advertising or similar promotions without demanding any compensation. By participating in this offer, every participant explicitly solicits a call or email or message or any other form of communication from TATA Motors or its associates to assist in purchasing TATA vehicle. Decision of TML shall be final in all respects and binding on all participants to the offer and no correspondence whatsoever will be entertained in this regard. All disputes shall be subject to jurisdiction of Mumbai only. The Gift/Gift voucher cannot be encashed-in or substituted with any Product/Services other than entitled for. Notwithstanding anything contained in this offer, there shall be no claim, actions, proceedings, costs, damages, expenses, penalties, demands and liabilities, howsoever arising against TML, Affiliates and their respective employees, officers and directors under this offer. Accessories may or may not be a part of Standard Fitment. Winner of the Lucky Draw will be required to sign a Declaration regarding accuracy of documentation and other details provided to TML, its authorized dealers, affiliates. By entering the offer all participants accept and agree to the above terms and conditions. Non-acceptance of any of these terms and conditions will result in disqualification from the offer.